Jane’s OSINT training from IHS Markit is delivered by subject matter experts who use and update their knowledge and skills every day, allowing them to pass on the most up-to-date methods and techniques to trainees. The courses are both theoretically and practically valuable, allowing trainees to go back to their desks and have an immediate impact within their organisations. 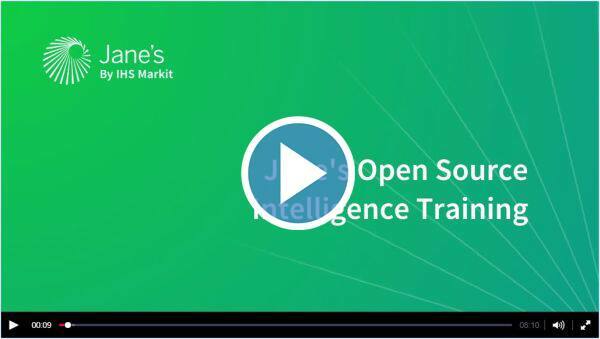 Jane’s OSINT Training gives you the tools to exploit open source information and deliver meaningful, actionable intelligence – on time, every time. All our training courses are designed in such a way that minimise direct lecturing from the trainers, allowing them to maximise and blend trainer-led instruction within group, individual and classroom size exercises and practical case studies. This three day course provides participants with an understanding of the uses, limitations, opportunities and risks associated with the use of open source information, by demonstrating a tried and tested approach to gathering and analysing relevant and useful information. The Masterclass equips analysts and researchers with a structured OSINT workflow and the necessary practical skills to efficiently collect, monitor, collate, and analyse open source information – enabling them to produce high quality OSINT reports and briefings. Register now and discover how Jane’s OSINT Training will enable you to deliver a more robust intelligence product. To find out more about Jane’s OSINT Training, please complete the following information.